3 days ago Great fit! Great fabrics!! 3 weeks ago Shirt received was good quality but did not fit well. Returned in exchange for similar shirt in different size. 4 months ago The collarless design got me a great compliment the first time I wore the shirt and it fits in well with the business casual style of San Diego County. 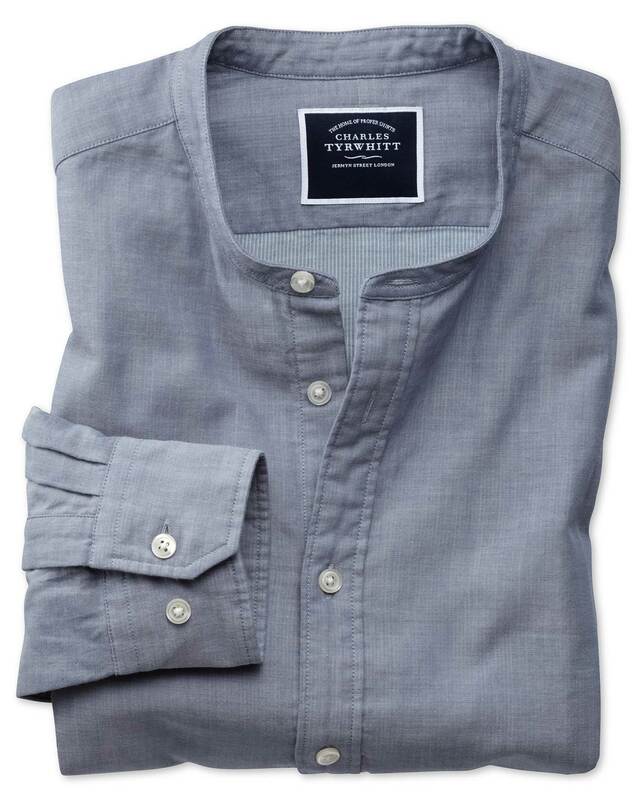 8 months ago A good quality shirt, the slim fit is comfortable around my torso. The neck sizing is perfect, just as claimed in the size recommendations on the website. The sleeves I find a bit tight around the arms making them a bit difficult to roll up, hence only four stars. I bought three of this particular style shirt, and the fit is consistent.